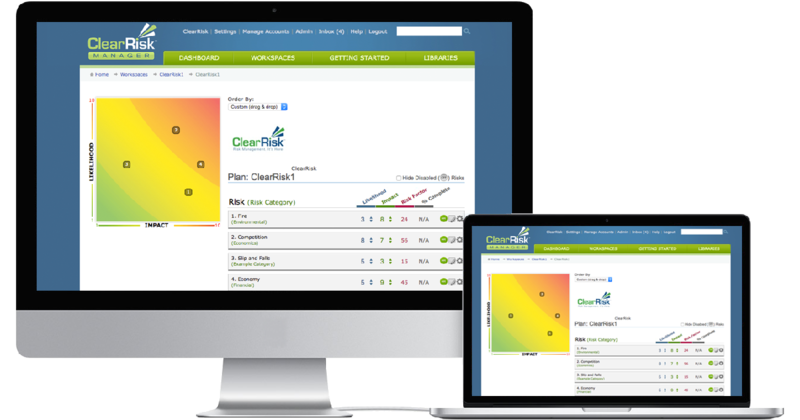 ClearRisk’s platform fully integrates all modules, streamlines activities, and enhances program effectiveness. It’s proven to uncover high-risk areas, pinpoint root causes, and dramatically reduce total cost of risk. Expedite internal processes with automation, allocate premiums across assets, report on trends and losses, produce statements of values, customize built-in workflows, and communicate with internal and external sources. 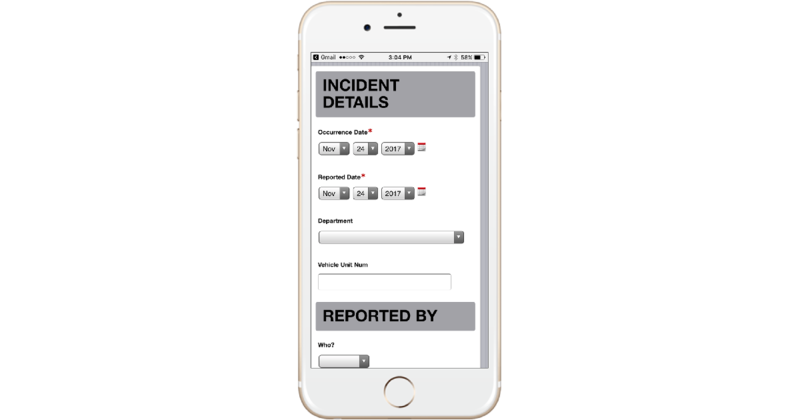 Effectively manage incidents with simplified data collection, automated follow-up processes, and corrective action assignment. Tracking incidents uncovers high-risk areas, produces in-depth trend analysis, and reduces the probability of future claims. This results in lower loss ratios and reduces total cost of risk. 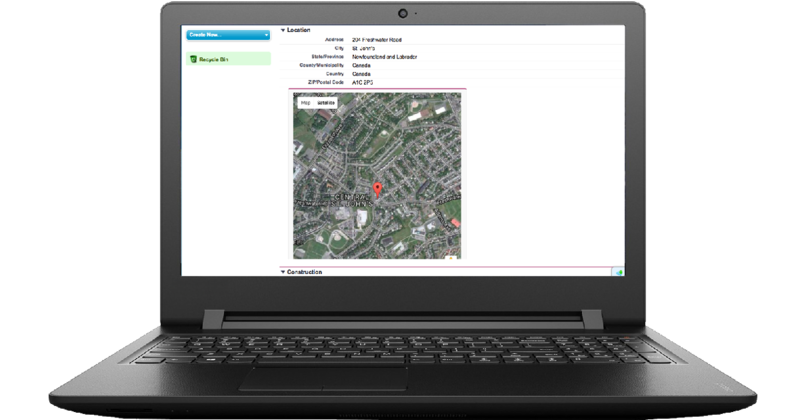 Designed by fleet managers, this module brings efficiency across unlimited locations, departments, and business units. 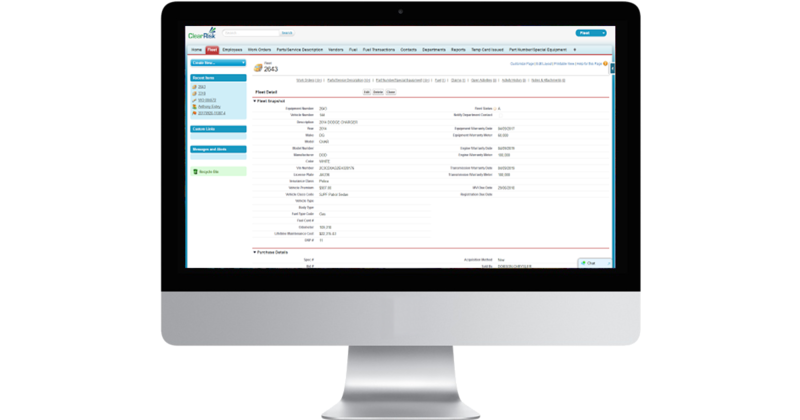 Save time and lower costs with a single data point that enables communication, eliminates redundant data entry, and enhances reporting by automating preventative maintenance schedules, service requests, work orders, and more. Simplify certificate management by tracking all external parties in a single location, automating expiry email reminders, and enabling online submissions. 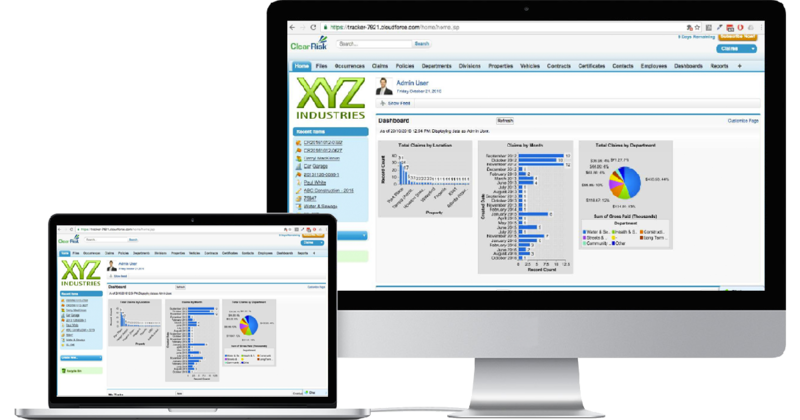 Track compliance and attend to deficiencies with easy-to-use dashboards that offer complete visibility into the COI status. 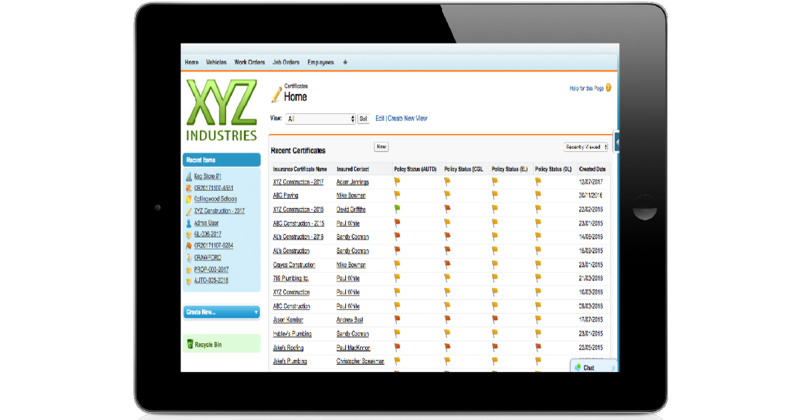 Directly communicate issues with contracted parties through ClearRisk’s email system and eliminate redundant data entry. The Online Web Portal allows remote users and outside parties to submit relevant data directly into any module within the platform. Automated notifications and elimination of in-house data entry improve data processing efficiency and analytical reporting effectiveness. Insurance brokers must add value to their clients to differentiate themselves from competing brokers. Our online collaborative guides and tools allow you to become a trusted source of risk management advice.